will make it to be oxidized easily to release SO2. Do not store it for long time. White crystal or powder; no foul. 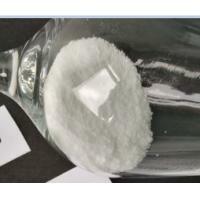 Soluble in water, very slightly soluble in ethanol, almost insoluble in ether. 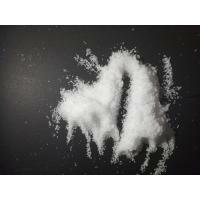 White hexagonal prismatic crystals, soluble in water (0 ℃ 12.54g/100ml water; 80 ℃ when the 283g/100ml water), in 33.4 ℃ The maximum solubility of about 28% when the aqueous solution is alkaline, PH value is about 9 ~ 9.5 . 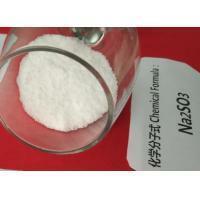 Slightly soluble in alcohol, insoluble in liquid chlorine, ammonia. 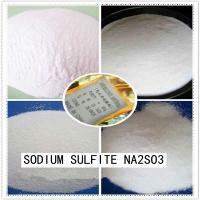 Easily oxidized in air sodium, when the temperature is decomposed into sodium sulfide. 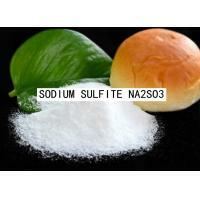 To strengthen the reducing agent, reacts with sulfur dioxide, sodium bisulfite, reacted with the acid salt. 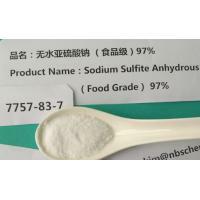 The role of anhydrous sodium sulfite is extensive, it is in the pharmaceutical industry, paper making, leather tanning and dyeing industries and plant fiber bleaching, food, etc have a very important role. 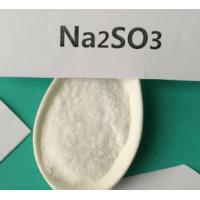 Addition of anhydrous sodium sulfite is also used to film developing, bleaching agents, printing and dyeing industry as a deoxygenation agent. 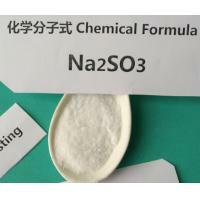 Located in Ningbo city, Zhejiang province, Ningbo SourceChem Co., Ltd. is a branch marketing company of two factories:sanxiang chemical,mainly produce and export sodium metabisulfite, sodium sulfite anhydrous, manganese carbonate, manganese sulfate and other chemical products. Service is the always the first. 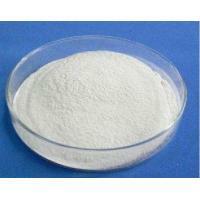 Excellent quality and favorable price are two basic points. All aspects of the sales process and comprehensive quality control is to ensure providing customers with first-class products and first-class service. 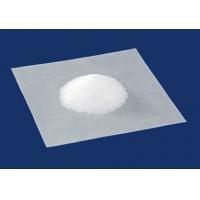 The company is always serving for new and old customers with quality products, low prices, good service. Based on mutual trust and benefit, the company set up friendly cooperation relationship with world’s customers.